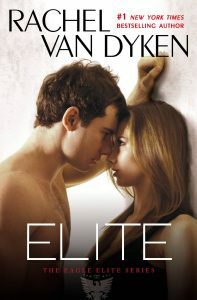 I absolutely love Rachel Van Dyken and I especially love, love, love her Eagle Elite series. I *may* have begged her to send me Elicit the very second I finished Entice, but then she had to go actually “write it!” BUT… thankfully, we have some exciting news…. Cursed, numb, rejected, scorned, wicked, sinister, dark, twisted…my name is Tex Campisi and this is my legacy. I killed my father in cold blood and lost my soul right along with him. I crave war more than peace, and I’m about to take my place in history as the youngest Capo dei Capi in the Cosa Nostra…that is until someone stops me, saves me from myself. But the only person able to do that…is my best friends sister, Mo Abandanato, and she just ripped my heart out and asked me to hold it in my hands while she put bullets through it. I’m numb so I held it. I’m wicked so I liked it. I used the pain Mo caused as a catalyst to turn into my biggest nightmare–the five families greatest enemy. It’s my turn to take a stand, knowing full well I’m going to lose my mind to the madness that is the American Mafia. I’ve always been told Blood is thicker than life. I wish I would have listened. Because regardless of who you love? You will betray. You will kill. The only way out is death…yours.